A selection of chess sets with either storage chessboards or included storage cases. Perfect for when you cannot leave your chess pieces out on display. 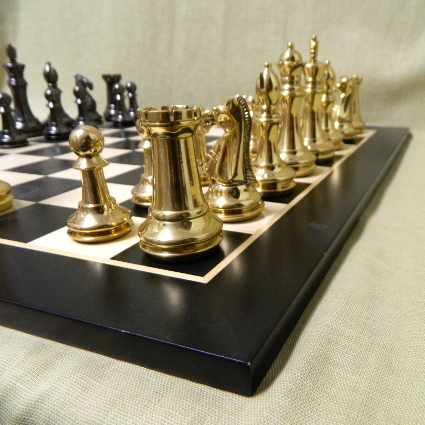 A fantastic collection of other flat chess boards with pieces including glass or brass chess sets and other unique designs. 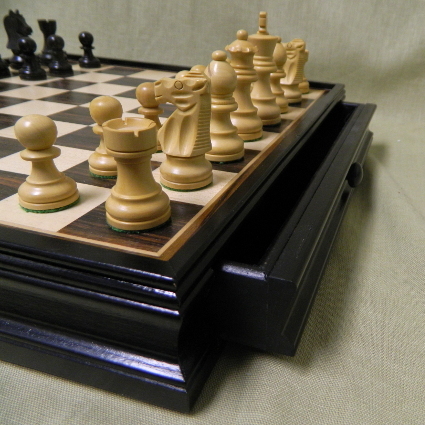 A selection of chess sets including exclusive Mark of Westminster chess pieces with wood chess boards ranging from 14" - 18", perfect for a coffee or end table as a room accent. 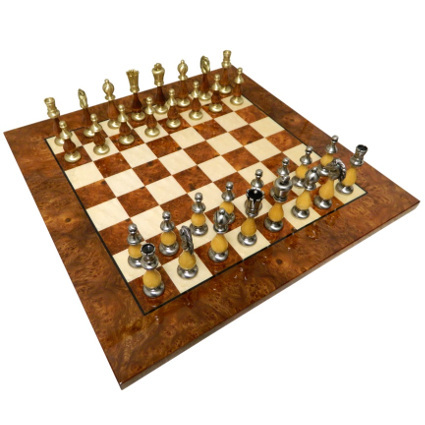 A selection of fantastic large chess sets including exclusive Mark of Westminster chess pieces with wood chess boards ranging from 20" - 24", a focal point for any room. 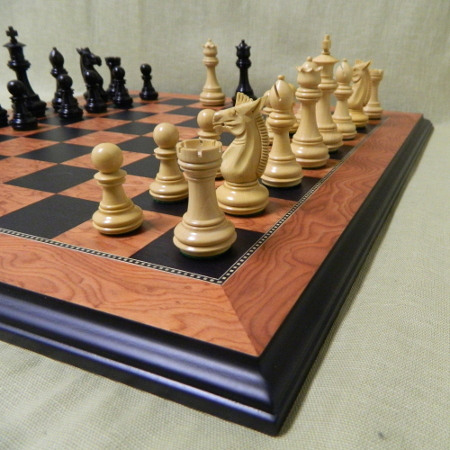 These standard chess sets are ideal if you're looking for a great chess set to play with regularly. These sets can be left on display or put away, and include economic choices up to 300.00 Our Collection of luxury chess sets over 300.00 in price. 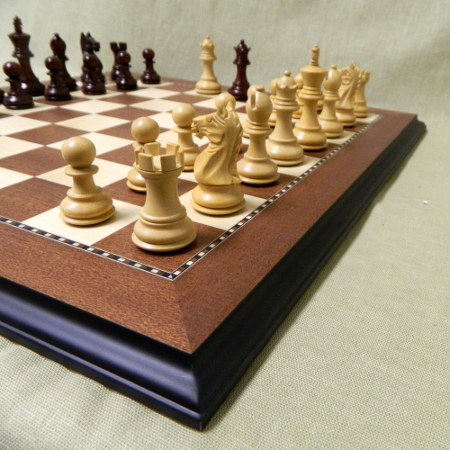 If you're looking for a high end heirloom without customizing among the many chess pieces and chess boards we offer, this is the place to look. Finding the right set of board and pieces can truly become overwhelming. 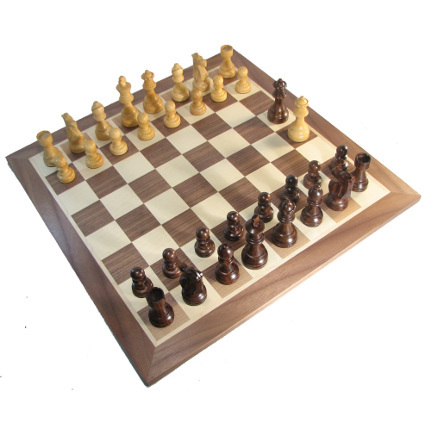 To make it easier, we have made some combinations of chess pieces and boards with a variety of sizes and in a variety of budgets. If you're simply overwhelmed looking at all the options, this is a great place to find a set you are sure to be happy with. Looking for another type of chess set? We have Folding, Magnetic, Marble, Tournament, and so much more. Having Trouble finding the right Traditional Chess Set? If you have not found the exact set you are looking for, don't stop here. We're accessible at our brick-and-mortar chess store via our toll-free phone number (800-645-4710) between 10AM - 5PM Eastern time. Feel free to give us a call and we can help walk you through all the different chess boards and chess pieces available. Once we find the right size and wood type, we'll help you find an appropriately sized board or matching pieces. You'll have the ideal set for you in no time.